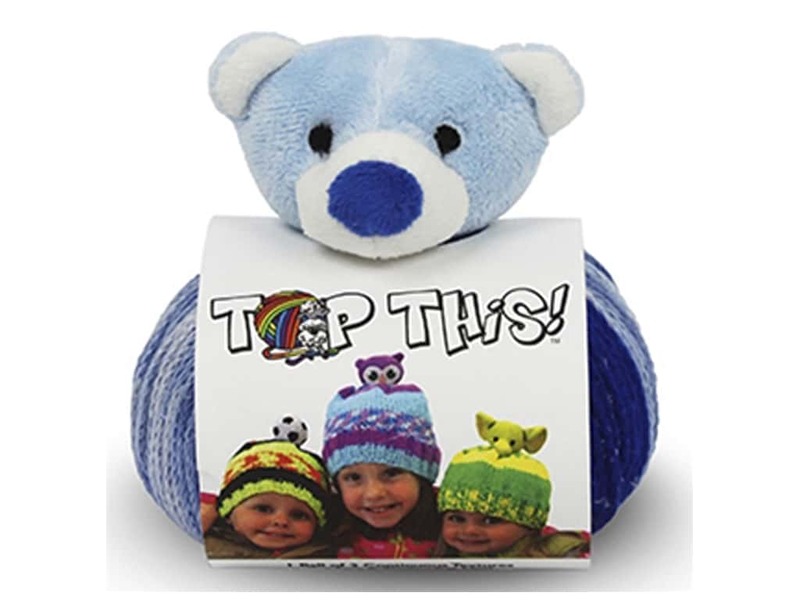 Description: DMC Teddy Bear Top This Yarn Kit include a 80 g ball of multi-colored, multi-textured polyester yarn, colorful plush teddy bear topper, soft stabilizing grommet, and knitting instructions to make a hat for toddlers to teens. Colors are Navy, Blue, Light Blue, and White. See more DMC Yarn Kit.